This medium poly model is built near to scale and includes some exterior detail. It has animateable features including ailerons, flaps, elevators, rudder, turbines, landing gear retraction and landing gear doors. It comes with a good amount of detail on the exterior of the model. 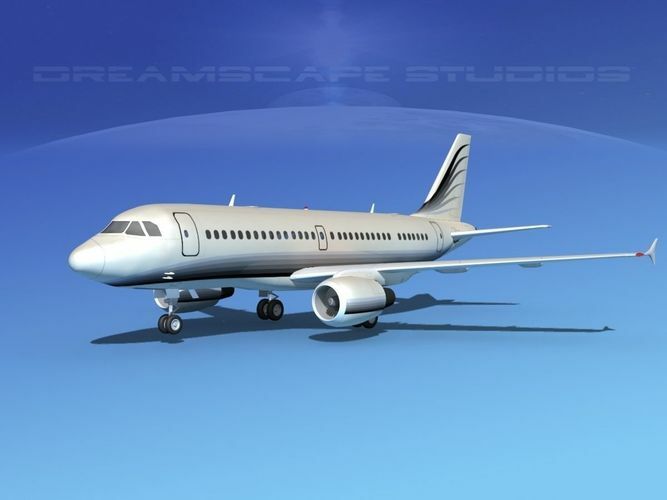 The model is built to be used in in-flight animations and video or simulation. It can also be used to populate an airport scene. The model is fully textured and is available in several different formats. It is fully textured and is available in more than 10 formats. The Airbus A319 is a shorter variant of the Airbus A320. It is a twin jet passenger airliner in service since the late 1980s. It is the largest aircraft family to have a single aisle arrangement. The A320 can seat from 120 to 156 passengers and operates with a crew of 6-9. These aircraft have a range of nearly 4000 miles. Over 1500 have been ordered and 1355 are now in operation.